While I dislike music competitions as much as anyone, there’s something to be said for the worldwide Metal Battle program, involving 27 countries and hundreds of fledgling bands. Organized by Wacken, you can at least trust there will be no significant genre bias, unlike general music competitions. And while winners may be to your taste or not, they can always be deemed competent at the very least. 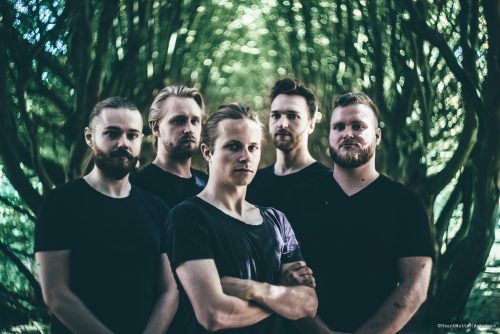 Sunless Dawn won the 2016 Denmark Metal Battle, but it took them until now to release their debut, the hour-long progressive behemoth that is Timeweaver. Considering Denmark sports some stiff competition, expectations for the quintet are high. And the expectations are quite fulfilled, too. Timeweaver is a dense, complex piece of progressive death, a dynamically composed and meticulously executed album of a daunting depth that I am still wrapping my head around a dozen spins in. The exploratory structures, heavy riffs, and core-style roars most closely resemble In Mourning, but whereas that ensemble is more earthen and grounded, Sunless Dawn are more interested in the atmospheric expansiveness of the cosmos, touching upon some Arcturus vibes in the process. The progressive tag is taken seriously here, eschewing traditional verse-chorus frameworks almost entirely, merely revisiting chord progressions on occasion to retain a semblance of unity throughout the tracks. While this may seem a criticism, it suits the aesthetic of wandering through spacetime, and the riffs and compositions are tight and interesting enough to make you hungry for what’s next instead of making you feel lost. The execution of this herculean task rarely wavers from excellence. The riffs are diverse and have a clear Edge of Sanity inspiration, but they deliver just as effortlessly on gentle acoustics (“Biomorph I: Polarity Portrayed”) and searing solos (“Biomorph II: Collide Into Being”). The drummer is as capable at subdued atmosphere building as he is at technically precise blasting (“Sovereign”). But it’s the skillful integration of additional elements at the right time that portray the dynamic spirit of the band, such as the well-placed grandeur of the choral arrangements on “Biomorph III” or the spacious keys that elevate the buoyant cosmic passages. The only element that doesn’t keep up with the wide range of variety is the vocals, which are confined to a mid-range core-style growl. These are certainly competently executed, but they lack the breadth of the rest of the album, and while many other acts should be happy with a growler of this skill, they lack the stunning depth of the instrumental approach. Sunless Dawn hold themselves back from true greatness with a few nagging issues though, besides the vocal shortcoming. For an album this layered, the production is simply too densely packed, too compressed to fully give each stratum the breathing room it requires. As epic as the choral arrangement on “Biomorph III” is, it feels like it should be far grander than the master allows it to be. A better production would have allowed the bass to shine more during the moments of direct assault as well, whereas now it only stands out during the moments composed around it. On a shorter or more direct album, such issues would not have needed result in a wavering attention span, but as much as I enjoy the material here, the marathon does tend to test my ADD towards the end, mostly afflicting the fifteen-minute closer “Sovereign.” A more succinct platter or a more dynamic production would have worked in the band’s favor; it’s the combination that keeps me from ruling Timeweaver a year-end contender. Despite these issues, Timeweaver is an absolutely tremendous debut. 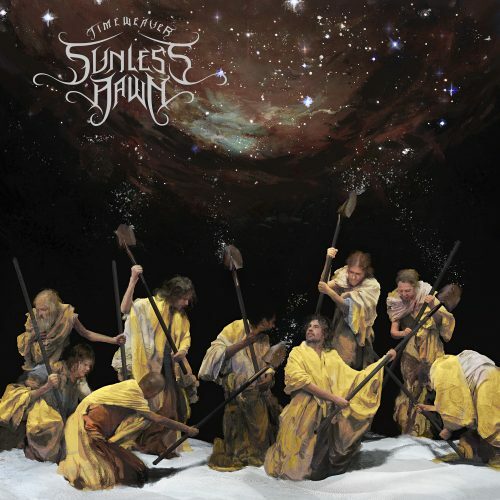 Sunless Dawn display a musical maturity far beyond their years, with complex, sophisticated arrangements, superb riffcraft and a flawless execution. The flaws are merely of over-eagerness, pushing for more and more in an album already crammed to the brim with its densely packed layers of varied composition. I fully expect further experience to smooth such wrinkles over time, and when it does I predict we’re going to see some truly mindblowing material develop. Sunless Dawn have all the signs of a fledgling giant in the progressive field.